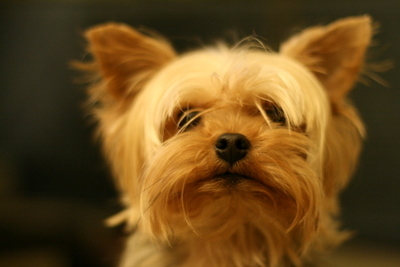 We call it “chatback” because instead of you doing all the talking on your blog, your visitors can talk back to you. Sure, they could leave comments, but those are public and hard to use for a real conversation. With chatback, it’s a real instant message session. Want one too? They are giving them away for free! My v-day was relatively uneventful but my roomies got some love… as in some pillows to the face. 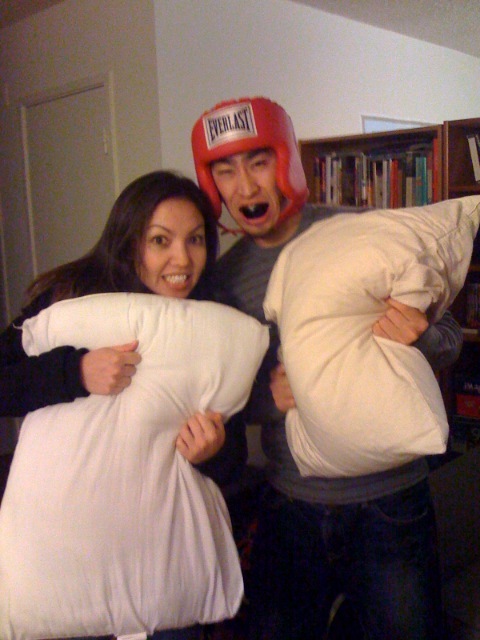 Here are some great shots of the annual valentines day pillow fight taken by lij’s iphone. Enjoy! Lijen and Amy getting geared up for the big fight. Lij apparently was a pretty popular target with his helmet. Haha, this picture is hillarious! 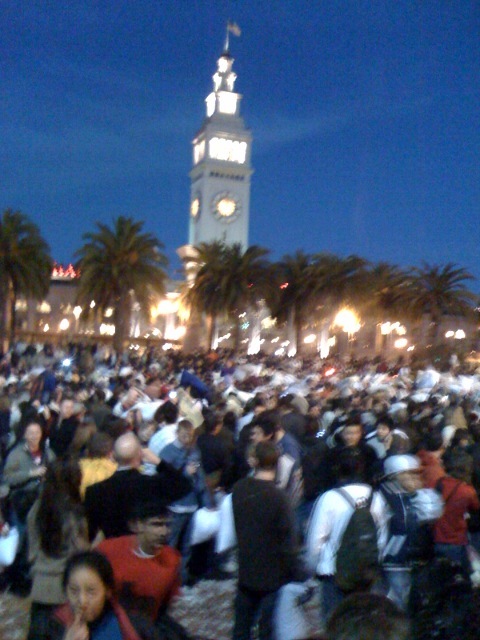 The masses… beautiful night in SF to have a pillow fight. Sad I missed out. Always could cheer me up.